CRR got the chance to get 15 mins with one of the brains, and sticks behind the new Charming Grace project, Mr Pierpaolo 'Zorro11' Monti. 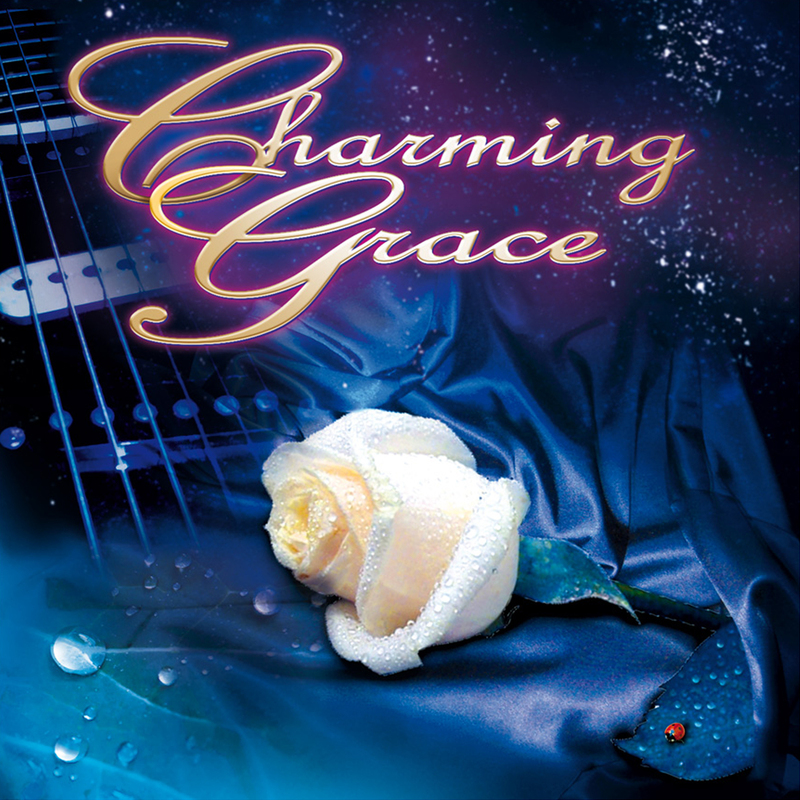 Charming Grace is a set of AOR songs with a twist, all duets! CRR: First of all many congratulations on the new Charming Grace album. Its always a pleasure listening to melodic rock/aor, especially when theres a twist like it is here, played with duets! PM: Hi Paul! Thank you so much for your so kind words and for this interview, I’m glad to be here discussing with you about Charming Grace! 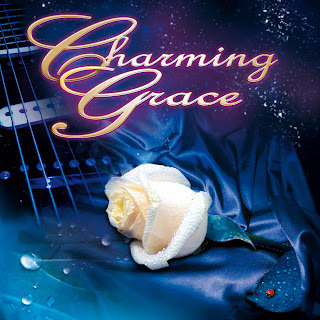 Yes, as you correctly said Charming Grace represents something new in the melodic rock world… a full album of vocal duets, a things that no one never did before in this wonderful style of music. 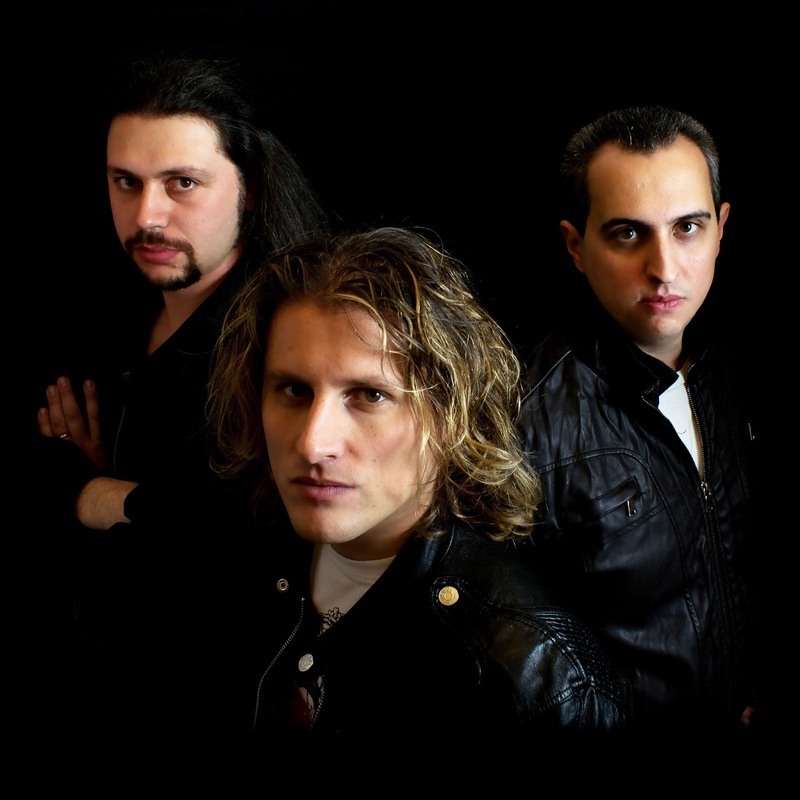 The AOR & Melodic Rock scene is usually addicted to be old and unable to renovate itself, so for this reason I wanted to try something new which was cool in my opinion… I think we reached a very good result! CRR: How on earth did you manage to get all of the people involved? Its quite a list you have. PM: I had some experience gained in the past thanks to my previous album called Shining Line, another AOR all stars project with a line-up full of well-known guests from the melodic (hard)rock world. Today, thanks to the internet, it’s possible to start a lot of collaborations with different artists and musicians, and I think this is a great way to expand our creativity working together with a lot of experienced names of our beloved music! I built in the latest years a good net of contacts in the melodic rock world, and I can say I love to contact every day new artists to propose them a possible collaboration together… it’s so exciting for me to involve in my music the old and new names of the scene that I listen every single day with their music! CRR: Whilst on the subject, what made you think of the duet format? Did you have any other singers on speed dial ready to contact? PM: As I was telling before, I consider this a totally successful experiment, it’s incredible to see how every single guest put its recognizable trademark in every song of Charming Grace, creating together with Dave some amazing vocal harmonies which represents for me the true quintessence of a project just like Charming Grace! Regarding some other possible singers to contact, well my email never stop to operates every single day, it’s so exciting to come in contact with a lot of singers and musicians of the scene, and see if a collaboration together can born… it’s great! PM: Yes, a true legend… Mr. David Forbes represents for me one of the most charismatic voices I heard in a lifetime, I couldn’t accept to leave his name forgotten after two amazing AOR masterpieces like the Boulevard’s cds! Dave is an amazing singer and a wonderful human being… he immediately accepted to be part of the project, and I can say that it was one of the best days I lived in my life! I cannot believe I was starting to collaborate with one of my lifetime idols… I watched for a never ending time the pictures of the band on the two Boulevard albums in the past years, and now I have again a hard time in realizing that David is really part of Charming Grace! It’s unbelievable! CRR: Is it an easy project to undertake? PM: Good question Paul. When you start an enormous project just like Charming Grace, you know well from the start that you’ll have to face a lot of problems due to a lot of different factors. It can happens that some guests can refuse to participate after their initial “yes”, that some of them can send you some wrong parts, or again that some recordings need to be postponed for various reasons, blocking the works of other guests that need to re-schedule their commitments. Anyway I think that with the hard work and professionalism everything could be solved, it’s all in the passion you’re able to put in the work you’re done and in the sacrifices you’re disposed to do if you have to face some troubles… it’s all in the love you have for this amazing thing called music! CRR: How much of a hold do have on all the performers/players? PM: I can say that we leave total liberty to express every single guest in our song! We usually give a “basic line” as reference (for example Dave did the demo parts of all vocals for the singers), but we always ask to every guest to express himself in the best way possible adding or changing everything he feels right! After that we consider every single change done and we think carefully of what keeping for the best final result possible! CRR: Did you allow them to take part in the writing process wherever possible? PM: Well, we usually send a finished song to a guest, but we’re always opened to change it if we receive some cool suggestions from one of them! For example one song’s title after the suggestion of one of the guests: the hint was really cool and we immediately accepted to change it! I think that the key word to spread the creativity of everyone is “collaboration”: I hate to give orders just like a dictator, and I also hate if a guest pretend to do something by himself… the best result can be reached when you try to reach the same goal together! CRR: I can imagine that it took some time to plan and to get everyone to play their parts? PM: Yes, it’s been a long long work. Every guest has his personal life and career to pursue, so it can happens that it’s not easy to draw together a good schedule in respect of everyone’s commitments. For this reason I think that a good plan it’s the basic thing for making a successful project… a lot of things can wrong for a big variety of factors, but if you did a good plan in the beginning you can face all the problems in a better way! CRR: Did any travel over to you, or was it a case now of a lot of people working via the web and their garden sheds? PM: With the low budgets of today, I think it would be impossible to travel for each one to collaborate “live” on a project like this. For this reason it’s thanks to the internet that we’re able to do these kind of collaborations, ‘cause with the improvement of the technological level everyone can record his parts and talk together from another side of the world. In Charming Grace we have guests coming from USA, Sweden, Germany, UK, Brazil and so on… I think we need a major label budget to arrange a meeting with every single guest! CRR: What are the memorable aspects of recording an album like this? PM: It’s without doubt sharing the big passion for the same music! It’s collaborating together with people you watched for years on a cd booklet, and that you appreciate now more and more after they put their enthusiasm in your music giving their best for the success of the collaboration together! It’s discovering that many of them are keeping alive the fire for this art after a long career in the music biz, showing to the new generations the true love for the melodic rock world! CRR: And come to think of it, the agonies and pitfalls? PM: The bad moments are those which are opponents to the good ones… think for example to some guests who accept in the beginning to be part of the project, and then refuse to do their work few days before the deadline we fixed to receive their parts… maybe they don’t think to the big amount of problems they give us with this kind of behavior. CRR: You’re involved in so many projects nowadays, is this how you have to set your stall in the 21st century, especially if you’re a melodic rock devotee. Especially Alessandro.....he's in everything!! What else have you got plans for in 2013? PM: I’m always active with my music, I write a lot of new music every single week and I’m always ready to start something new in every single moment! Please let me spend just two words regarding Alessandro: he’s one of the most talented artists I’ve known in my life. He’s an amazing musician, a top class producer and finest songwriter… he’s in my opinion one of the key points for the future of the melodic rock scene, and I wish him of the best for an amazing an long career in music! He deserves it! PM: Paul, I need to thank you so much for your important support, it means a lot to me in these hard times for the music scene! It’s thanks to fans like you that artists can make music again… U rock mate! Charming Grace has been a wonderful adventure for us, it’s been a very demanding project but we’re very happy of the final result we’ve been able to reach! I hope that the melodic rock fans could feel in this album the same emotions me, Dave and Amos had in creating it, it’s been done for the love of melodic rock music and it has inside a piece of our hearts and souls! Many thanks for all Paul!!! Cheers!!! 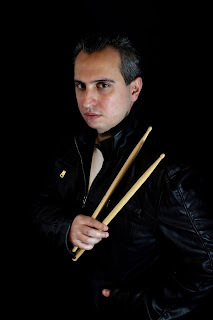 So there you have it - drummer, songwriter, with a contact address book to kill for, and a really nice bloke, passionate about AOR / Melodic Rock. Long may the community continue to support people like Pierpaolo, carrying the AOR torch into the 21st Century!